We had a great experience on this trip. My request for early check in was promptly accepted. Anne the caretaker was very welcoming, friendly and accomodating. She was also very kind and accommodating of my little dog. The apartment itself was clean, modern and warm. The bed was very comfortable, and we had a wonderful night’s sleep. The attention to detail made a big difference to our stay. Toiletries, towels and bed linen were provided, as well as all kitchen utensil and cooking ingredients. The views from in Cipières are stunning and there is so much to see and do just a short stroll from the property, including a meal in the wonderful village restaurant. We will definitely be returning to Maison Rose in the Summer. 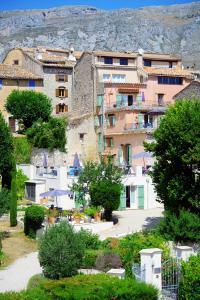 This is a perfect place to escape from a loud city to a very small authentic French village. In this area, there are plenty possibilities to walk in absolutely extaordinary places. 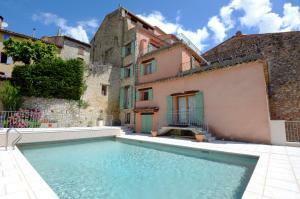 The property is a spacious appartment in an old house with a large terasse. Though the desigh is old fasion, the appartment is very comfortable and cozy. In particular, we were impressed by a very large bed. In winter time, the rooms were quite warm. The place is very nice, the pool area is great and the BBQ is fantastic. Inside the house, some of the rooms and bathrooms are beautiful and fully re-furbished. The inside pool table room is great. Trudy, the owner, has been very helpful and flexible. Bed extremely comfy - Good bath towels, face clothes etc things you usually only find in 4 to 5 star hotels. Contact with owners was friendly and good - everything for check in was perfectly arranged and facilities explained in full. La maison est au top! L'accueil est très chaleureux et Anne et Trudy sont très gentilles.je conseille vivement ce logement où nous avons passé un excellent moment avec nos enfants. Notre hote a été très accueillante et la maison était globalement très agreeable. Propreté irréprochable. Équipe pour une cuisine basique mais ne manque rien. Espace co portable pour 2 adultes et 2 enfants. 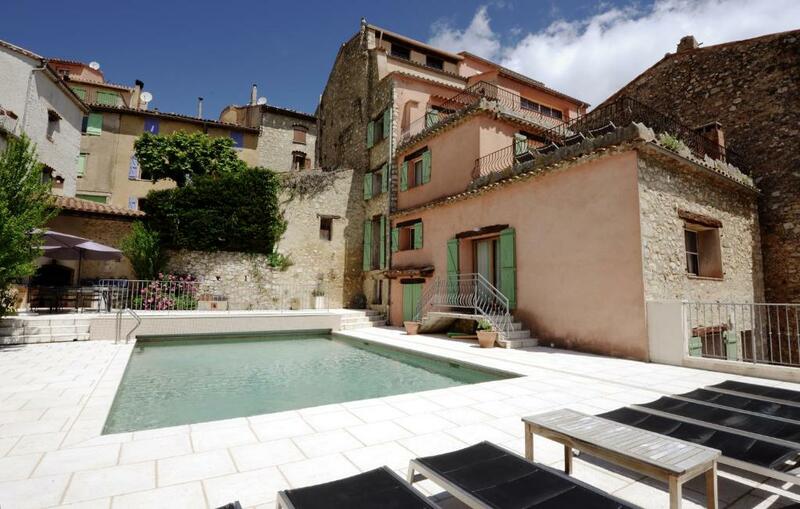 Lock in a great price for Maison Rose - rated 8.3 by recent guests. Offering an outdoor heated pool and billiards, Maison Rose offers self-catering accommodation located in Cipières, a 30-minute drive from Gréolières les Neiges. Free WiFi access is available. The apartments and the holiday home offer a private entrance, satellite TV and a sofa. There is a full kitchen with a dishwasher and a microwave. Featuring a bath or shower, the private bathroom also comes with a hairdryer and bathrobes. You can enjoy garden views. 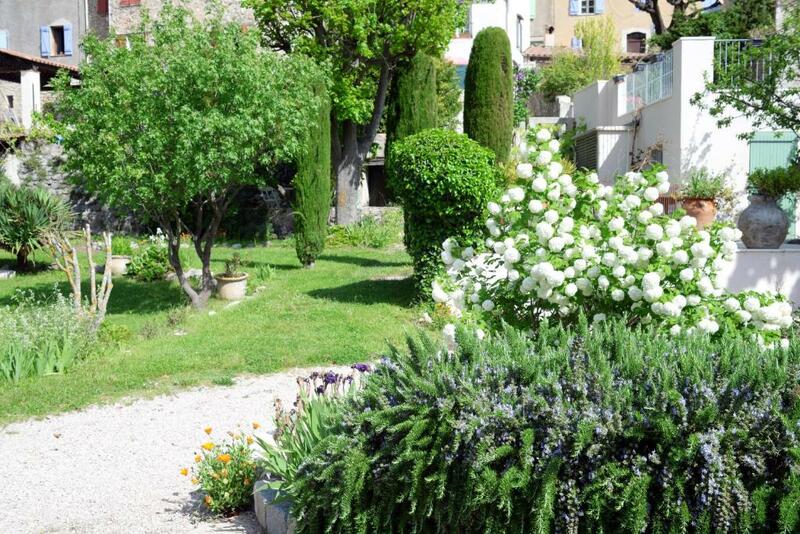 At Maison Rose you will find a garden, barbecue facilities and a terrace. 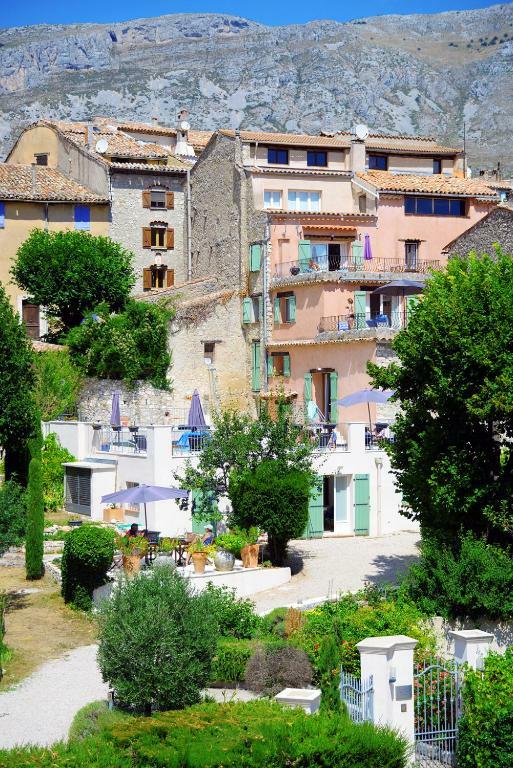 This holiday home is 19.9 miles from Nice Côte d'Azur Airport. The property offers free parking. This property also has one of the best-rated locations in Cipières! Guests are happier about it compared to other properties in the area. 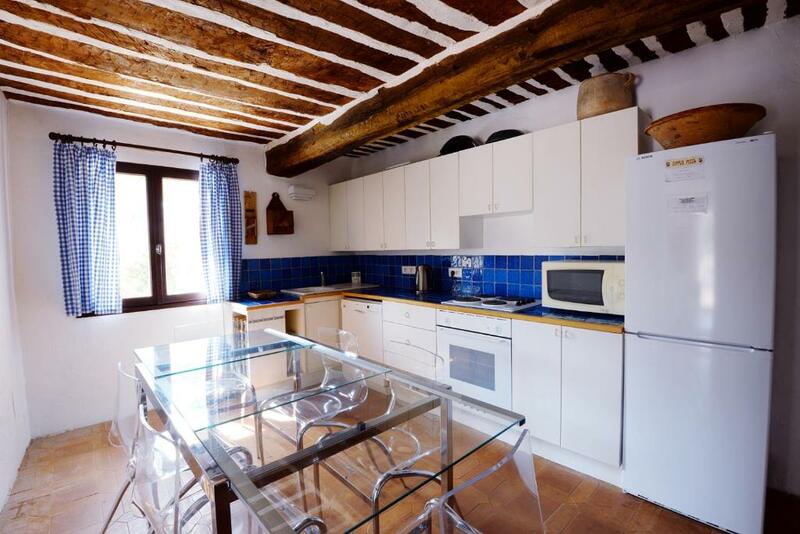 This property is also rated for the best value in Cipières! Guests are getting more for their money when compared to other properties in this city. Maison Rose has been welcoming Booking.com guests since 9 Jan 2015. When would you like to stay at Maison Rose? This apartment has a private entrance, satellite TV and a sofa. This apartment features a private entrance, a sofa and satellite TV. This holiday home has a private entrance, satellite TV and a sofa. This apartment features a sofa, satellite TV and private entrance. House rules Maison Rose takes special requests - add in the next step! Free! All further older children or adults stay free of charge for extra beds. Please note that the prepayment is due by bank transfer. The owner will contact you to organise this. Please inform Maison Rose in advance of your expected arrival time. You can use the Special Requests box when booking, or contact the property directly with the contact details provided in your confirmation. The internet is not excellent but, apparently this is true of the whole village. The internet was very slow and disappeared from time to time. This was not a problem of this property, but in this village, in winter time there was no place to eat in the evening; one should go to Greoliere, another village 10-15 min by car. On the other hand, this is a part of a quiet relaxing atmosphere of the place. The room downstairs of the villa are a bit sacrified and dark. Maybe price is the bit high, however there are not many alternatives for big groups in the area and the building is very nice. Very little. We had some trouble initially operating the satellite television but this was soon fixed by the friendly and helpful caretaker. Perhaps a light above the kitchen hob would have been helpful. The apartment's main room is spacious and light with a well-equipped kitchen. It opens onto a large terrace with a lovely view of the hills opposite. We were incredibly lucky with the weather and had sun throughout our stay which meant we ate breakfast on the terrace almost every day as well as using it to sunbathe when we came back from outings. The bedroom has the most comfortable bed I have ever slept on! Both my husband and myself slept incredibly well throughout our stay as a result of the quality of the mattress so that was definitely a plus. Having a washing-machine in the bathroom was also helpful. The flat as a whole is attractive - simply but tastefully decorated with original beams and wooden mantelpiece in the bedroom. It was extremely clean. The village of Cipieres is an absolute delight. It is unspoilt, peaceful and surrounded by stunning scenery - we loved the combination of Alpine mountain views and green meadows and woods around the village. We enjoyed several walks from and around Cipieres itself as well as further afield. The village is entirely uncommercialised but still provides a well-stocked general shop and two excellent restaurants. We ate local organic lamb at The Vieille Vigne which was particularly good. The area around Cipieres is full of similarly attractive villages and small towns that do not take long to reach. One is genuinely spoilt for choice. Our guided tour of the garden of the medieval castle in nearby Gourdon was a highlight, as was a walk along a mountain path above Greolieres, on the other side of the Loup valley, with panoramic views. We also visited a perfume factory in the small nearby town of Grasse, and the outstanding Maeght Foundation (where the gardens are dotted with sculptures and murals by Miro, Giacometti and Braque among other 20th century artists) and the beautiful Matisse Chapel, both just outside Vence.